Thread began working with MentorPrize in November of 2017 when the organization was just entering its second year. When our partnership began, MentorPrize was still relatively new in its transition from relying entirely on its volunteer board to run the organization to hiring a professional staff. 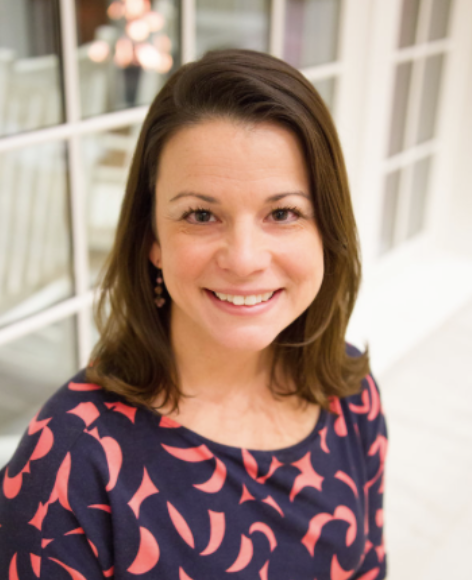 MentorPrize’s first full-time employee is Jeanna Finamore, serving as Executive Director. Thread worked with Jeanna and MentorPrize to strategize its first-ever formal development plan and to get up and running a donor database system to support the plan. New to nonprofit fundraising and eager for the chance to learn as much as she could, Jeanna also looked to Thread for coaching in relationship management and development best practices as she completed her first annual cycle of fundraising for MentorPrize. Now that Jeanna has been in her position for more than a year, we asked her to share some reflections on making the switch to the nonprofit sector and taking advantage of resources for learning. Thread: Your role at MentorPrize is your first in the nonprofit sector – why did you choose to make the transition from the corporate world at this point in your career? Jeanna: During and after the 2016 election, our country became so polarized. I wanted a way to break through the animosity because I knew there was something so much more important out there than politics. It was that we are all still one, regardless of political party affiliation. Every one of us has bad days. Every one of us has stress. Every one of us needs help. And every one of us deserves a chance. So, a couple days after the election, I met and spoke with Leslie Adelman of MentorPrize who explained that MentorPrize existed to fill the “mentorship gap” by recruiting mentors for dozens of local, vetted programs. We discussed where I live, how many monthly hours I could commit to mentoring, and my interests. She referred me to a fantastic mentoring program that is close to me and works with my busy schedule. I became so inspired by the innovative and solutions-oriented model of MentorPrize that I offered my services to her on the spot. In less than a month, I became a board member and then stepped into the Executive Director role a year ago. Thread: What do you enjoy most about your role? Jeanna: Without a doubt, the impact we make on people’s lives. We build bridges between people one relationship at a time. When you mentor someone, you take their story home with you. It becomes part of your story. It changes you and the way you see the world around you. It makes me so proud that we have facilitated the connection of 125 mentors to mentees — changing 250 lives for the better. Thread: What are two or three things you found helpful as you transitioned to the nonprofit sector? Jeanna: After being recognized by the Catalogue for Philanthropy as “one of the best non-profits” in the DC region I took full advantage of the benefits. In the Catalogue’s workshops, I learned the art of the thank you note, a skill I’ll put to good use for our second annual “Banding Together” fundraiser on October 11th. And the Catalogue also connected us with Thread Strategies, who MentorPrize hired to teach us the do’s and don’ts of fundraising over the course of a six-month partnership. From the fundraising assessment, to the stewardship timeline to the final development plan, and so many lessons/resources/recommendations in between, Thread catapulted us to the next level. Thread: What advice would you give to others taking on their first Executive Director role? Jeanna: I have two pieces of advice to share. The first is to earn the trust of your board of directors, as working in close partnership with the board is crucial to your success as a leader for the organization. And the second can be summed up in three little words: Hire Thread Strategies.